The concerns CQC raised with Marie Stopes International relate to poor governance arrangements which have given rise to specific immediate concerns relating to the lack of assurance in MSI, in areas such as consent and safeguarding and the lack of assurance in relation to training and competence in conscious sedation and general anaesthesia. Marie Stopes international suspended its services in order to correct the problems. So (*sigh*) the NHI shipped the 250 pregnant women who would be affected elsewhere so they could abort their children. I was kind of surprised at MSI’s measured response. Texas tried to raise the standards for abortion clinics so they’d be comparable to other medical facilities, and it seemed the world collectively lost its mind, with many arguing that ensuring medical standards for clinics violated a woman’s “right to choose” and then SCOTUS overturned the Texan law. Well then. Whole Woman’s Health vs. Hellerstedt concerned a 2013 Texas law known as House Bill 2, which required two new regulations for abortion clinics: first, abortion doctors would have to obtain admitting privileges at hospitals within 30 miles of the clinic; and second, clinics would need to meet specifications required to become ambulatory surgical centers. Their objection to HB2 demonstrates that abortion advocates care more about protecting the abortion industry than protecting women. 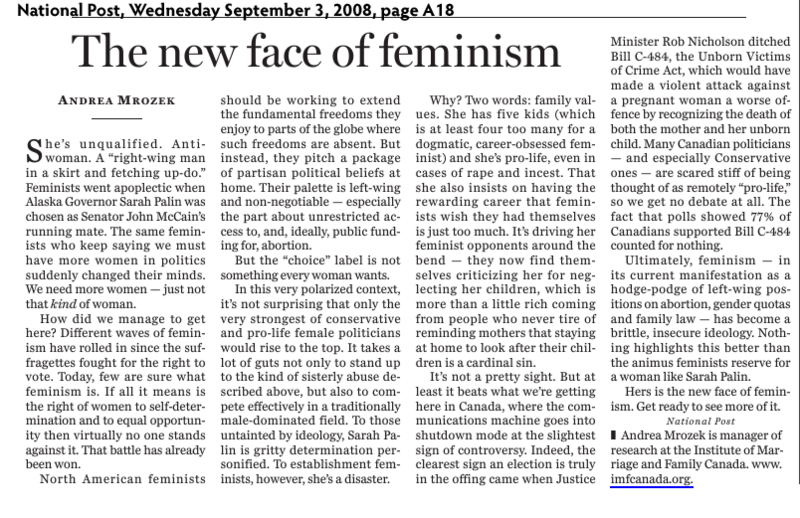 This decision proves what pro-life feminists have been saying for years: the pro-choice position is misogyny in action. Striking down this law will harm women. So the “good” news? Abortion facilities are being held to higher standards. Bad news? Babies continue to be killed and more women are hurt by abortion. There were 185,824 abortions in 2015. Some 38 per cent of those who had an abortion last year had undergone a similar procedure before. These figures are enormous, staggering. For the individual involved they represent a very personal choice, and pro-lifers are sensitive to that, but it’s impossible to separate that choice from the social conditions that shape it. This is not a society that encourages the formation of families, either culturally or materially. And if society is not open to the possibilities of life, it is hardly a surprise that some choose to terminate it. This happened in Quebec not too long ago as well. There was an attempt to regulate all out-patient clinics. When it was confirmed that raising standards would put abortion clinics out of business for even a short while, I believe they went back on it. I’ll try to find a link.